If your a small business looking to create a social media strategy or social media marketing plan, then this free social media strategy template will help you achieve it. This interactive PDF form allows you to dynamically create a social media strategy document for your small business, which you can use to plan your social media marketing strategies as well as complete a full audit on your current social media presence. Many small business owners admit they use social media for their business with no real plan or measure on its success. Bigger organisations might have detailed social media strategies and marketing teams, but for the small business, especially those in small teams or single owner models find it difficult to bring their social media marketing together. This is where a social media strategy and marketing plan can really help a small business. This clever social media strategy planner allows you to easily determine why you use social media, how you use social media, when you use social media and to who you conduct it with. Read more about what's included in this social media planning tool below, then just simply visit the download page to get this handy social media strategy toolkit and start creating a solid social media strategy to apply to your business and team of staff. Download the Social Media Strategy Template here - Save this PDF to your computer / device and open using a PDF reader program or app (this PDF is unlikely to display in browsers). This is an interactive PDF form and requires a PDF reader program such as Acrobat Reader DC, or PDFMax5 on iPad (some form features might not work). This handy social media strategy planner covers some core areas of social media marketing that all small business' will understand. It takes you through the various stages of social media strategy planning and provides you with a clear understanding of your social media plan into the future. Take a look at some of the sections included in this social strategy template. The strategy template follows a SMART content strategy osurrounded by a 'Build, Engage & Promote' model. SMART stands for 'specific, measurable, attainable, relevant, time-bound' and is applied to your social media goals and objectives. 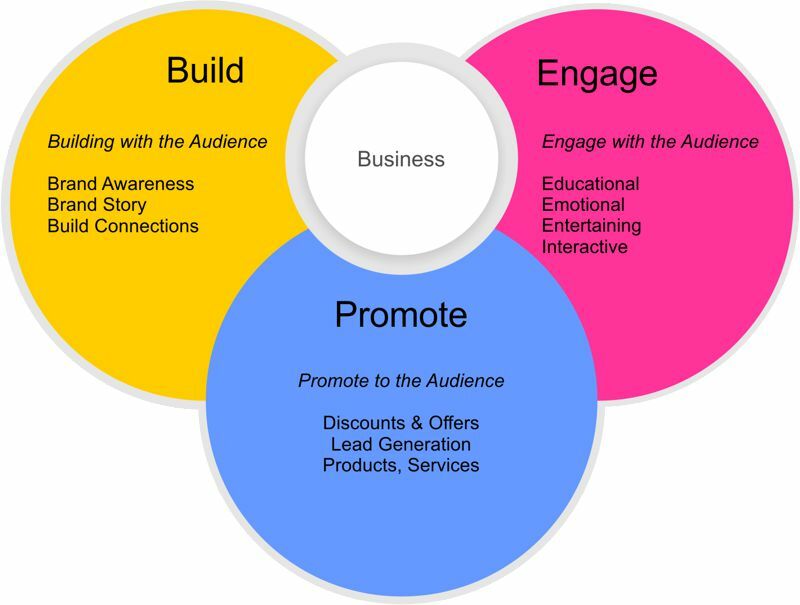 The 'build, engage & promote model sorts your social media content into three main areas; Build - building with the audience, Engage - engage with the audience, Promote - promote to the audience. The PDF form includes a "Add" section feature, where you can add repeating sections, where you might want to list several social media platforms within your 'Social Media Audit' section. The social media strategy template was made to make it easy to fill in each section and naturally flow through the document step by step. We have provided notes throughout the form to help you get started and fill-in the social media template. Hope you found this social media strategy template useful. You can further support this free template and others like it by Buying me a Coffee.